Is there a simple way to change hud fonts? I am trying to get the omp fonts into Cb hud, but there are a lot of entries not in rays' video. nickleIs there a simple way to change hud fonts? I am trying to get the omp fonts into Cb hud, but there are a lot of entries not in rays' video. a great tutorial on this is here. So just change the entries to the corresponding ones from OMP? Want to move / resize my sticky charge meter but it seems that it's confined to a small area where it's placed by default in the HUD, how can I remove these restrictions ? Using Broeselhud Blue. "bgcolor_override" "0 0 0 125"
nickleSo just change the entries to the corresponding ones from OMP? AntaresWant to move / resize my sticky charge meter but it seems that it's confined to a small area where it's placed by default in the HUD, how can I remove these restrictions ? Using Broeselhud Blue. 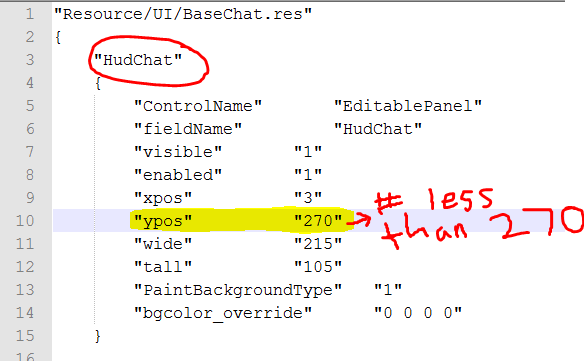 Try moving HudDemomanCharge in hudlayout.res, should be much easier. That's where you would have to extend the "frame" as well. HudDemomanPipes is kind of involved in this too though. Didn't work ;/ any other ideas? Your health cross is at the very edge of the parent element. You're going to need to make the parent element bigger by increasing wide/tall. There are three parent elements, one for each type of targetid, below is an image from Doodle's guide explaining each one. For each targetid that you want to change, increase the wide value. You will need to also change the xpos in the same element in hudlayout.res to recenter it. Also, you will need to move everything inside targetid.res to the right. EDIT: I went back and found your original post, read the edited version. [*] You're going to need to make the parent element bigger by increasing wide/tall. 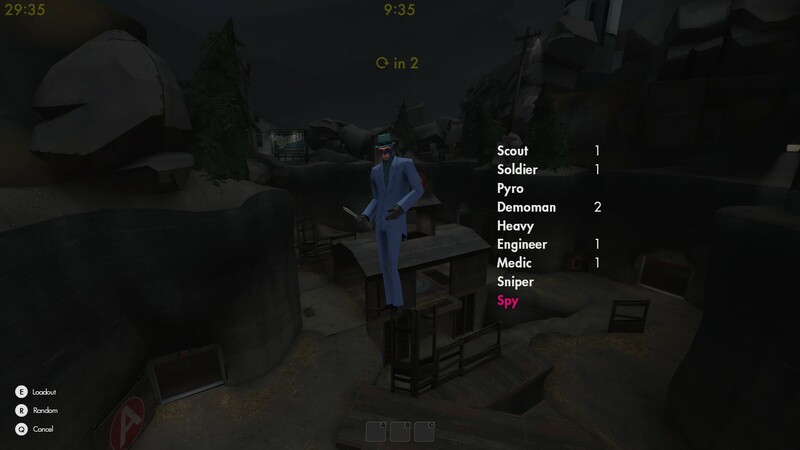 [*] There are three parent elements, one for each type of targetid, below is an image from [url=http://doodlesstuff.com/?tutorial=tf2hud]Doodle's guide[/url] explaining each one. [*] For each targetid that you want to change, increase the wide value. You will need to also change the xpos in the same element in hudlayout.res to recenter it. Also, you will need to move everything inside targetid.res to the right. How do I edit this team colored line in spectator target id? Mainly the ypos and tall. Can someone of you guys update YAHUD since its a great hud but it hasnt been updated in the last 8 months if I'm correct, or it might be even more. 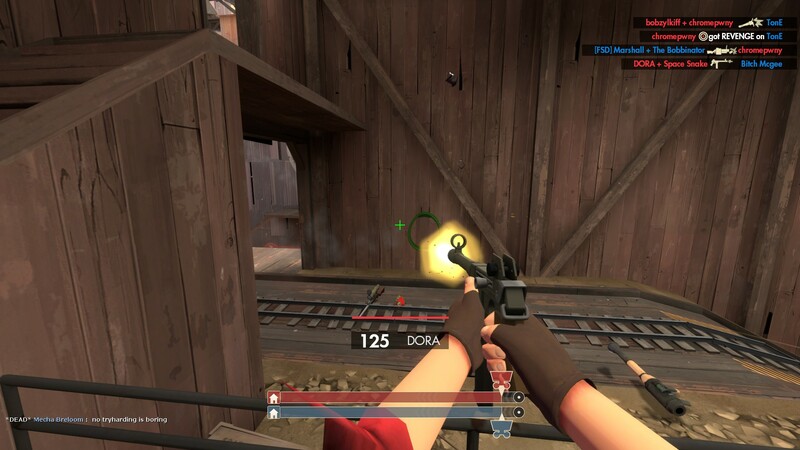 A lot of people still use that hud even if its broken and maybe fixing it will make it even better. Oh I actually fixed the targetid cross issue (:p), could you post your solution for the main player health again? Is it editing the wide/tall value for HudPlayerStatus in hudlayout.res? ninjajiroOh I actually fixed the targetid cross issue (:p), could you post your solution for the main player health again? 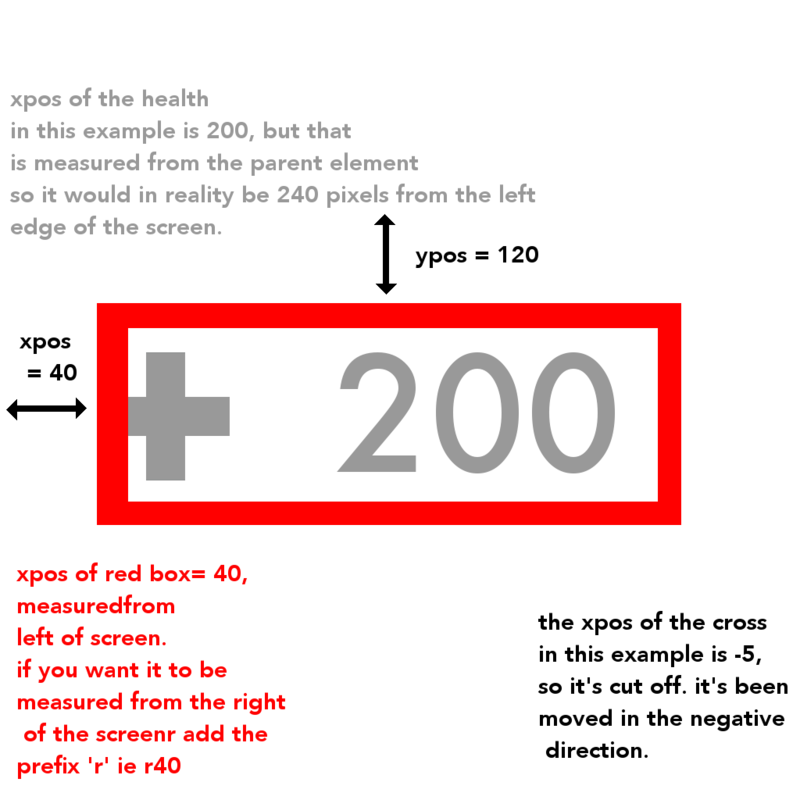 The health cross is being cut off by a parent element. The health cross has two parent elements: HudPlayerHealth in HudPlayerHealth.res, and HudPlayerStatus in HudLayout.res. To fix your problem you will need to move the cross to the right while moving the parent element to the left by the same amount. This is because you need to move the cross inside of the parent element. However, that means everything in there will be moved to the right. To keep it in the same position relative to the side of the screen, move the parent element to the left. Maybe this image will do it better justice than I can. The red box is the parent element. Nerd essay below if you want a deeper understanding. Each part of a hud is called an element. These elements are put together, as you already know, in .res files, but also in groups. 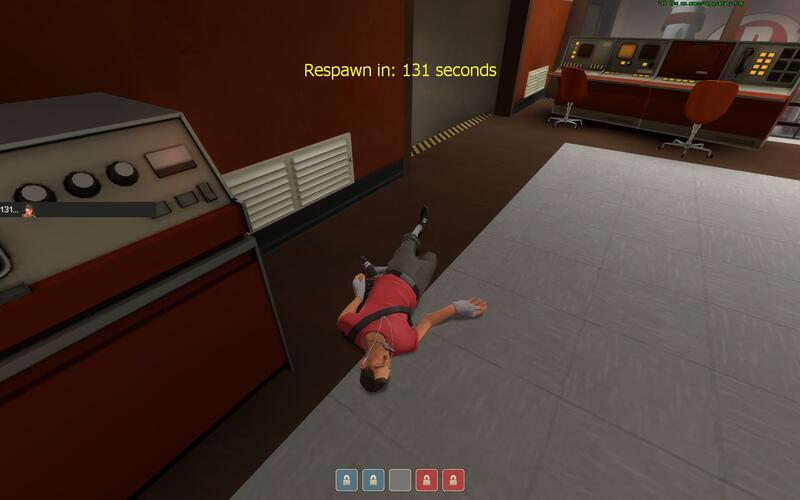 For example, if you wanted to move the health around, there are many other things that are potentially related to the health that you might want to move, like the health cross, the background, the status images, etc. These are put together in a .res file so it's easier to find all the relevant elements, and also are put into a parent element so you can move or otherwise edit the whole system without needing to move everything. ~Usually~ any element that has a parent will have one in HudLayout.res, although sometimes there are others. _vittoCan someone of you guys update YAHUD since its a great hud but it hasnt been updated in the last 8 months if I'm correct, or it might be even more. A lot of people still use that hud even if its broken and maybe fixing it will make it even better. "fgcolor_override" "238 238 51 255"
But the end result looks like: http://i.imgur.com/ogLm7p9.jpg Not sure what I'm missing or doing wrong? I'm using Broesulhud Blue and I'm trying to get the number of stickybombs out to flash or make the number big for a second whenever the number goes down. Here is what the hud looks like with 7 stickybombs out: http://imgur.com/6qOboTn The number of stickybombs is in the lower center. Basically I just want that number to draw my attention whenever something happens to it. I would prefer it to only flash when the number goes down, but I wouldn't mind if it flashed when the number just changed in general. Anyone know how this could be accomplished? Are Your Eyes Real, Jaden? Hey guys: got another question. Is it possible to move the killstreak icon (on the TargetID) ? I've been trying without success. I remember I seemed to have successfully moved it but I don't know if that's the case now. Is there a way to edit these white lines to make them straight? how do i change the spectator' s tasble from a hud to another? ok but what file are them?